Currently, developers proposing to construct renewable energy facilities of 100 MW or less may use the Virginia Department of Environmental Quality’s (“DEQ”) PBR process. The PBR can often reduce the time and expense necessary to receive the state approvals required to begin construction and operation of a solar or wind facility.SB 1395 (Wagner) expands the facility size threshold to allow renewable facilities up to 150 MW to utilize the PBR process. The bill also provides that a small renewable facility owned or operated by a public utility may obtain a PBR, and will be exempted from State Corporation Commission review, so long as the project costs are not recovered from the utility’s ratepayers. Virginia law currently allows customers in Dominion’s service territory to purchase generation from renewable energy facilities that are located on their property, but that are owned and operated by a third party.HB 2390 (Kilgore) would expand this pilot program to allow non-profit institutions of higher education in APCo’s service territory to participate in the same pilot program. The bill, for example, would allow private colleges to purchase 100% renewable energy from facilities owned and operated by third parties. This bill is intended to address an economic challenge faced by colleges who wish to use renewable energy. Colleges, because they have no federal tax liability, are often unable to benefit from federal tax credits for capital investments in renewable energy. Third-party sellers, however, are able to pass the tax savings on to non-profithigher education customers, which reduces customers’ power purchase expenses. The program is capped at 7 MW for non-profit customers in APCo’s service territory. SB 1393 (Wagner) requires both APCo and Dominion to conduct a pilot program that would allow all retail customers to purchase 100% solar energy from new solar facilities located in Virginia and owned by the utilities. Customers would be permitted to voluntarily “subscribe” to a solar energy rate schedule. Currently, neither utility offers customers an option to purchase 100% solar energy. APCo and Dominion would be required to conduct a competitive request for proposals (“RFP”) prior to dedicating any particular solar resource to the pilot program. SB 1394 (Wagner) authorizes a new program for agricultural customers operating renewable energy facilities on their property. The bill establishes a buy-all, sell-all program whereby agricultural generators may sell 100% of the renewable energy generated to their incumbent electric utility, while continuing to purchase 100% of their electricity requirements from their utility. The utilities are required to purchase the renewable energy generated at a rate not less than the utility’s avoided cost rate. (The utility’s “avoided cost” is a rate approved by the State Corporation Commission which represents the theoretical cost the utility would incur to obtain replacement power.) The buy-all, sell-all program would only be available for agricultural customers with renewable energy facilities 1.5 MW or smaller. Finally, SB 990 (Dance) would direct the Virginia Department of Mines, Minerals and Energy (“DMME”) to provide an annual report regarding the Commonwealth’s progress towards its energy efficiency goals. In 2007, the General Assembly adopted a goal for the Commonwealth to reduce its energy consumption by 10% by 2022. In 2015, Governor McAuliffe created an Executive Committee on Energy Efficiency to help accelerate the achievement of the 10% energy reduction goal. In particular, our attorneys will be reviewing the proposed legislation that emerges from the so-called “Rubin Group,” a group of energy stakeholders, including utilities and pro-solar advocates, that is moderated by Richmond lawyer and mediator Mark Rubin. The stakeholder group has been working for months to propose legislation that would encourage solar development, including investments by non-utility companies, while at the same time balancing the concerns of the utilities who must bear the costs to maintain the electric distribution system. Solar advocates generally want customers to have the freedom to purchase 100% solar energy – even if it is not offered by their incumbent electric utility. The utilities, meanwhile, are concerned that if more customers purchase solar generation from third-party solar suppliers, it could mean less revenue for maintenance of the electric grid. Please contact one of our energy lawyers or regulatory attorneys should you have questions about the status of any energy legislation being considered by the General Assembly this year. Call it our sunny optimism, but we think solar energy has a bright future in Virginia! On July 1, 2016, a 2-1 majority of the SCC rejected a legal challenge to SB 1349, the so-called “electric rate freeze law,” which prevents the Commission from reducing the base rates of Dominion Virginia Power (“Dominion”) and Appalachian Power Company (“APCo”) until 2023 and 2021, respectively. A group of large industrial customers of APCo brought the challenge, alleging that the law violates the Virginia Constitution because it prevents the Commission from regulating the rates of Virginia’s largest investor-owned electric utilities for several years. Dominion and APCo are both monopolies, meaning that businesses and individuals in their service territories have no choice but to purchase power from the two utilities. As we have previously written, this issue is worth approximately $280 million per year for Dominion’s customers alone. The legal challenge was based on Article IX of the Constitution of Virginia, which establishes the powers and duties of the SCC. Article IX, Section 2 provides that “Subject to such criteria and other requirements as may be prescribed by law, the Commission shall have the power and be charged with the duty of regulating the rates, charges, and services … of electric companies.” According to the industrial group, therefore, the Commission’s authority to regulate electric rates is subject only to “criteria” and “other requirements” that may established by the General Assembly. By taking the authority to regulate electric rates away from the SCC altogether, the group argued, the rate freeze law violates Article IX. The challengers also noted that SB 1349 freezes rates at an excessively high level, which will likely result in excess profits of hundreds of millions – or billions – of dollars for utility shareholders at the expense of Virginia citizens and businesses. Commissioner Dimitri noted that the Commission Staff had estimated that Dominion’s rates are currently designed to produce excess revenues of approximately $300 million per year and that “Dominion’s [excess profits] have the potential to reach well over a billion dollars, at customer expense,” during the rate freeze period. Attorney General Mark Herring, who is charged by statute with representing the interests of ratepayers before the SCC, instead sided with Dominion and APCo. The Attorney General, while conceding that the General Assembly could not set electric rates, sought to parse the difference between “setting rates” and “freezing rates.” The Attorney General argued that SB 1349 is lawful because it “does not set the rate,” but merely “freezes” rates previously set by the Commission. The challengers have until August 1, 2016, to decide whether to appeal the decision to the Virginia Supreme Court. If the Supreme Court strikes SB 1349, the decision could allow the SCC to reduce Dominion’s and APCo’s rates by hundreds of millions of dollars per year. A group of industrial customers of Dominion Virginia Power (“Dominion”) has recently taken steps to challenge the constitutionality of Virginia’s Electric Utility Regulation Act (“Regulation Act”) at the Supreme Court of Virginia. 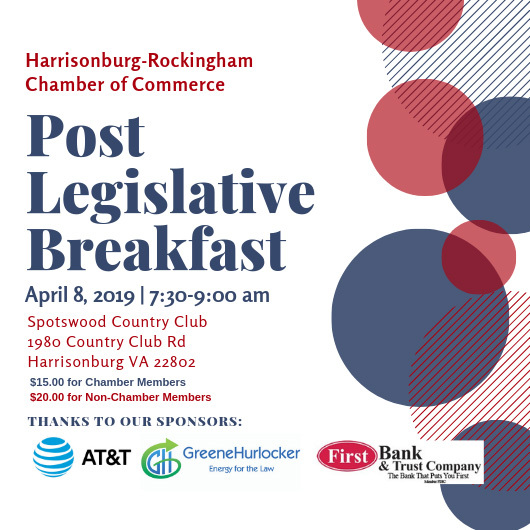 At issue is a 2015 amendment to the Regulation Act, Senate Bill 1349, which exempts Dominion and Appalachian Power Company from biennial base rate reviews through 2022. In effect, the legislation prevents the State Corporation Commission (“SCC” or “Commission”) from changing the utilities’ base rates until 2022 – even if the Commission determines that electric rates are too high and are producing excess profits for utility shareholders. The potential constitutional challenge was triggered by an SCC order late last year that applied Senate Bill 1349 for the first time. In its Final Order in Dominion’s 2015 Biennial Review rate case, SCC Case No. PUE-2015-00027, a 2-1 majority of the Commission applied Senate Bill 1349 and declined to adjust Dominion’s base rates or set a new rate of return on equity for the company. Commissioner Dimitri, however, filed a dissenting opinion, arguing that Senate Bill 1349 violates Article IX of the Constitution of Virginia and therefore cannot prevent the SCC from adjusting Dominion’s base rates. Following the Commission’s Final Order, the Virginia Committee for Fair Utility Rates (“Committee”), an association of large industrial customers, filed a Petition for Reconsideration at the SCC. The Committee’s Petition cited Commissioner Dimitri’s dissenting opinion and requested that the Commission find that Senate Bill 1349 is unconstitutional. On December 14, 2015, a 2-1 majority of the Commission denied the Committee’s motion. Commissioner Dimitri filed a second dissenting opinion, reiterating his finding that Senate Bill 1349 is unconstitutional. On December 22, 2015, the Committee filed a Notice of Appeal at the SCC, which preserves the Committee’s ability to file a formal appeal with the Supreme Court of Virginia. The legal arguments advanced by the Committee are based on Article IX, Section 2 of the Constitution of Virginia, which establishes the powers and duties of the SCC. Article IX, Section 2 provides that “Subject to such criteria and other requirements as may be prescribed by law, the Commission shall have the power and be charged with the duty of regulating the rates, charges, and services … of electric companies.” According to the Committee, therefore, the Commission’s authority to regulate electric rates is subject only to “criteria” and “other requirements” that may established by the General Assembly. Appeals from the State Corporation Commission are “of right,” meaning that the Supreme Count cannot decline to hear properly filed appeals. In order to be heard by the Court, however, the Committee would have to file a formal “Petition for Appeal” within four months of the date of the Final Order in this case. If a Petition for Appeal is filed, oral arguments would likely be heard by the Court in its September, 2016 session. If you have any additional questions about any of the legal aspects of this case or its potential to affect the electric rates paid by Dominion’s customers, do not hesitate to contact one of GreeneHurlocker’s Virginia energy and regulatory attorneys. In exciting news for the renewable energy industry, last Friday Congress passed (and the President signed) the $1.15 trillion federal spending bill that continued tax credits for renewable energy development. We consider these credits a powerful and useful incentive to continue the country’s momentum toward less dependence on fossil fuels and nuclear power. In the solar space, full 30% credits will still be available for commercial and residential solar arrays through 2019. Beyond that, the credits will taper off to 2022, where they will settle at 10% for commercial development placed in service by December 31, 2023. With that legislation, we expect a boost of activity in this area. Residential customers who lease their solar arrays won’t get the credit directly. Instead, it will be available to the company that finances the solar array. This may produce a hot market for leasing finance companies to partner with manufacturers and installers in the residential sector. While the tax credits for wind projects won’t last as long, they will be available at 2.3 cents for each kilowatt-hour generated into 2016, then decline until they are gone in 2020. These credits technically expired at the end of the 2014 tax year, but now will apply to generation in this year and for the next five. All in all, the new federal budget holds some really good news for the renewable energy industry, where many of our clients are making progress. If you have questions about the new budget or renewable energy development and legal issues, please contact one of our energy and utility lawyers. If you want to know more about how the tax credits may affect you, please consult your tax advisors. Virginia energy lawyers Eric Hurlocker and Blair Wortham have been keeping up with a multitude of legislative actions during the just completed 2015 Virginia General Assembly. Here is a brief look at a few initiatives impacting renewable energy development in Virginia. House Bill 1950/Senate Bill 1395: Electric Utilities; Net Energy Metering Programs. HB 1950 and SB 1395 increase, from 500 kilowatts to one megawatt, the maximum generating capacity of an electrical generating facility owned or operated by an electric utility’s nonresidential customer that may be eligible for participation in the utility’s net energy metering program. In addition, the capacity of any generating facility installed under this legislation after July 1, 2015, is not to exceed the expected annual energy consumption based on the previous 12 months of billing history or an annualized calculation of billing history if 12 months of billing history is not available. The bill also (i) requires any eligible customer-generator seeking to participate in net energy metering to notify its supplier and receive approval to interconnect prior to installation of an electrical generating facility and (ii) clarifies requirements regarding the customer-generator’s obligation to bear the costs of equipment required for the interconnection to the supplier’s electric distribution system. House Bill 2267/Senate Bill 1099: Virginia Solar Energy Development Authority. HB 2267 and SB 1099 create the Virginia Solar Energy Development Authority (“Authority”) which is established for the purposes of facilitating, coordinating and supporting development of the solar energy industry and solar-powered electric energy projects in Virginia. As set forth in the legislation, the Authority is to achieve its purpose by developing programs that increase the availability of financing for solar energy projects, facilitate the increase of solar energy generation systems on public and private sector facilities in the Commonwealth, promote the growth of the Virginia solar industry, and provide a hub for collaboration between entities, both public and private, to partner on solar energy projects. The bill provides that the Authority will be composed of 11 nonlegislative citizen members, including representatives of solar businesses, solar customers, renewable energy financiers, state and local government solar customers, and solar research academics. Pursuant to the bill, the Authority is tasked with, among others, (i) identifying and taking steps to mitigate existing state and regulatory or administrative barriers to the development of the solar energy industry (including facilitating any permitting processes); (ii) collaborating with entities, including institutions of higher education, to increase the training and development of the workforce needed by the solar industry in the Commonwealth, including industry-recognized credentials and certifications; (iii) entering into interstate partnerships to develop the solar energy industry and solar energy projects; and (iv) conducting any other activities as may seem appropriate to increase solar energy generation in Virginia and the associated jobs and economic development and competitiveness benefits, including assisting investor-owned utilities in the planned deployment of at least 400 megawatts of solar energy projects in the Commonwealth by 2020 through entering into agreements in its discretion in any manner provided by law for the purpose of planning and providing for the financing or assisting in the financing of the construction or purchase of solar energy projects that are authorized pursuant to Section 56-585.1 of the Code. House Bill 2237: Electric Utility Ratemaking; Recovery of Costs of Solar Energy Facilities. HB 2237 provides that an investor-owned electric utility that purchases a generation facility consisting of at least one megawatt of generating capacity using energy derived from sunlight and located in the Commonwealth and that utilizes goods or services sourced, in whole or in part, from one or more Virginia businesses, to recover the costs of acquiring the facility, with an enhanced rate of return on equity, through a rate adjustment clause. The legislation also states that a utility filing a petition for approval of such a project to construct or purchase a facility may propose a rate adjustment clause based on a market index in lieu of a cost of service model for such facility. In addition, the bill explains that the construction or purchase by a utility of one or more generation facilities with at least one megawatt of generating capacity, and with an aggregate rated capacity that does not exceed 500 megawatts, that use energy derived from sunlight and are located in Virginia, regardless of whether any of such facilities are located within or without the utility’s service territory, is in the public interest, and in determining whether to approve such facility, the State Corporation Commission (“SCC”) shall liberally construe the provisions of the legislation. Furthermore, pursuant to the bill, a utility is authorized to enter into short-term or long-term power purchase contracts for the power derived from sunlight generated by such generation facility prior to purchasing the generation facility. House Bill 1360/Senate Bill 763: Securities Act; Crowdfunding Exemption. 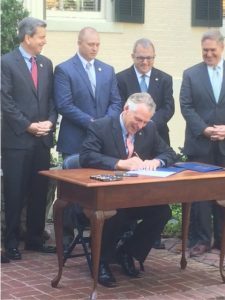 HB 1360 and SB 763, known as crowdfunding bills, create an exemption from some of the requirements in the Securities Act for Virginia businesses raising money from investors in the Commonwealth. This bill provides Virginia businesses with the opportunity to access low-cost capital, as well as creating investment opportunities for investors to invest in local projects in Virginia. Specifically, this legislation creates an exemption from the securities, broker-dealer, and agent registration requirements of the Securities Act for any security issued by an entity formed, organized or existing under the laws of Virginia, provided certain conditions are satisfied. House Bill 1297: Machinery and Tools Tax; Production of Renewable Energy. HB 1297 authorizes a governing body of any county, city or town to impose a tax rate on machinery and tools, including repair and replacement parts, owned by a business and used directly in producing or generating renewable energy that is different from such tax rate imposed on other machinery and tools. However, the bill prohibits the tax rate on machinery and tools used directly in producing or generating renewable energy from exceeding the tax rate applicable to the general class of machinery and tools. In other words, this legislation gives localities the freedom to either maintain or lower the tax rate for machinery and tools used in renewable energy projects from such rate applicable to the general class of machinery and tools. House Bill 881: Electric Utility Regulation; Renewable Energy Portfolio Standard Program, Etc. HB 881 was introduced in an effort to require the SCC to establish and maintain a market-based renewable energy registration and tracking system to facilitate the creation and transfer of renewable energy certificates. This system is to be, to the extent practicable, consistent with, and operate in conjunction with, the trading system developed by PJM Interconnection LLC, known as PJM-GATS. The bill requires the system established by the SCC to include a registry of pertinent information regarding all renewable energy certificates and renewable energy certificate transactions. The idea is that this system would provide current information to electric suppliers and the public (via Internet access) on the status of renewable energy certificates created, sold or transferred in the Commonwealth. 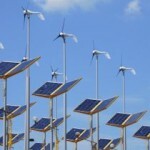 The legislation also establishes limits on the duration of a renewable energy certificate. In addition, the bill provides that the SCC is to establish requirements for documentation and verification of renewable energy certificates by licensed electric suppliers and other renewable energy generators. Notably, the bill also would eliminate provisions for double or triple credit toward meeting the renewable energy portfolio standard for energy derived from specific renewable energy sources, such as sunlight or offshore wind. The legislation was left in the Commerce and Labor Committee in December 2014. We will continue to monitor any activities relating to this bill in the coming sessions. Senate Bill 1349: Electric Utility Regulation; Suspension of Regulatory Review of Utility Earnings. SB 1349 prohibits the SCC from conducting a biennial review of the rates, terms, and conditions for any service of (i) Dominion Virginia Power for the five successive 12-month test periods beginning January 1, 2015, and ending December 31, 2019, and (ii) Appalachian Power for the four successive 12-month test periods beginning January 1, 2014, and ending December 31, 2017 (collectively, the “Transitional Rate Period”). The legislation further provides that no biennial review filings must be made by an investor-owned incumbent electric utility in 2016 through 2019 and an investor-owned incumbent electric utility’s existing tariff rates shall not be adjusted between the beginning of the Transitional Rate Period and the conclusion of the first biennial review after the conclusion of the Transitional Rate Period, except as permitted for fuel factor and purchased power cost adjustments, rate adjustment clauses, and emergency temporary rate increases. In addition, the bill authorizes the SCC to, during the Transitional Rate Period, inspect the books, papers, and documents of any investor-owned incumbent electric utility and to require it to provide special reports and statements, under oath, concerning its business. Furthermore, during the Transitional Rate Period, the SCC is required to conduct a proceeding every two years to determine the fair rate of return on common equity to be used by the utility as the general rate of return applicable to the rate adjustment clauses. Pursuant to the legislation, in furtherance of rate stability during the Transitional Rate Period, Dominion Virginia Power is prohibited from recovering from customers 50 percent of certain deferred fuel expenses, and the SCC is instructed to implement, as soon as practicable, reductions in the fuel factor rate. During the Transitional Rate Period, an investor-owned incumbent electric utility shall recover the following costs, only through its existing tariff rates for generation or distribution services: (i) costs associated with asset impairments related to early retirement determinations for utility generation facilities resulting from the implementation of carbon emission guidelines for existing electric power generation facilities that the U.S. Environmental Protection Agency has issued pursuant to § 111 (d) of the Clean Air Act; (ii) costs associated with severe weather events; and (iii) costs associated with natural disasters. The legislation requires that, during the Transitional Rate Period, the SCC and the Department of Environmental Quality provide reports and make recommendations to the Governor and the General Assembly annually concerning the implementation of carbon emission guidelines for existing electric power generation facilities that the U.S. Environmental Protection Agency has issued pursuant to Section 111(d) of the federal Clean Air Act. In addition, the utilities must conduct and fund, a pilot program for energy assistance and weatherization for low income, elderly and disabled individuals in their respective service territories in Virginia. House Bill 1475/Senate Bill 1163: Natural Gas Utilities; Recovery and Deferral of System Expansion Infrastructure Costs. HB 1475 and Senate Bill 1163 establish a procedure under which a natural gas utility may seek SCC approval of a system expansion plan. This plan is to include, among other things, a business rationale explaining that the expansion plan is in the public interest and of benefit to the affected customers and the estimated eligible system expansion infrastructure costs and a maximum level of investment to be included in the program. The legislation requires that any system expansion plan that is submitted to and approved by the SCC allocate and charge costs in accordance with the appropriate cost causation principles in order to avoid any undue cross-subsidization between rate classes. The SCC is instructed to approve a natural gas utility’s system expansion plan if the SCC finds that the plan (i) includes the components as set forth in the bill, (ii) provides for the recovery of eligible system expansion infrastructure costs in accordance with the bill, and (iii) is prudent and reasonable. However, in its review of an application, the SCC may not examine other revenue requirement or ratemaking issues. Costs recovered pursuant to the legislation are in addition to all other costs that the natural gas utility is permitted to recover, are not be considered an offset to other SCC-approved costs of service or revenue requirements, and are not to be included in any computation relative to a performance-based regulation plan revenue-sharing mechanism. The bill does not apply to interstate pipeline companies regulated by the Federal Energy Regulatory Commission. This legislation should allow more Virginia consumers to have the opportunity to benefit from increased natural gas availability in Virginia and the related benefit of lower energy costs. Senate Bill 1331: Natural Gas Conservation and Ratemaking Efficiency Act; Cost-Effective Programs. SB 1331 requires the SCC, in its evaluation of whether a natural gas conservation or energy efficiency program is cost-effective, to make its determination with (i) the assignment of administrative costs associated with the conservation and ratemaking efficiency plan to the portfolio as a whole and (ii) the assignment of education and outreach costs associated with each program in a portfolio of programs to such program and not to individual measures within a program, when such administrative, education, or outreach costs are not otherwise directly assignable. In addition, the legislation provides that a cost-effective conservation and energy efficiency program shall not include a program designed to convert propane customers to natural gas. If you have questions about any Virginia laws and how they might impact your business, please contact the Virginia energy lawyers at GreeneHurlocker for more information.